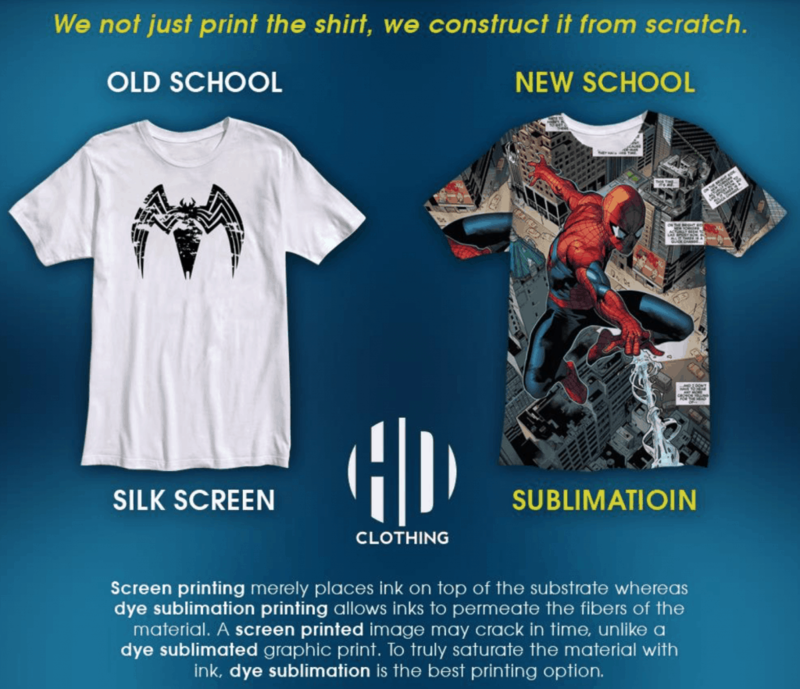 Funny ad for sublimation I got in my email box today. “Which Do You Prefer?” I would say that most people over the age of 11 prefer the one on the left. Simple is usually better with clothing. Some people can rock a big yellow dashiki or a full color all-over super hero, but most people can’t. There is another point here, they talk about sublimation as if it has to cover the whole shirt, but it doesn’t have to. It can work for smaller images and has that soft hand they talk about, as the sublimation dyes penetrate the shirt fibers rather than sitting on top. 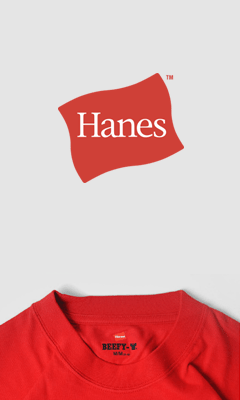 On a 50/50 shirt you get it faded back and soft, as only half the fibers sublimate. Give me that image on the left on a 50/50 shirt please, small and sublimated for maximized minimized decoration.